Does your home tile roof look worn out and past its prime? Are water stains appearing on your ceilings at home? Or are your investment property’s roofing valley irons covered in moss, or showing signs of water pooling and insect infestation? Water seepage can cause untold damage to roofs, walls and foundations. It is critical water entry points through brittle mortar and degraded tiles, are identified and sealed before major problems occur. Nothing devalues the overall ‘street appeal’ of a property, than a cracked and deteriorated roof showing obvious signs of aging. 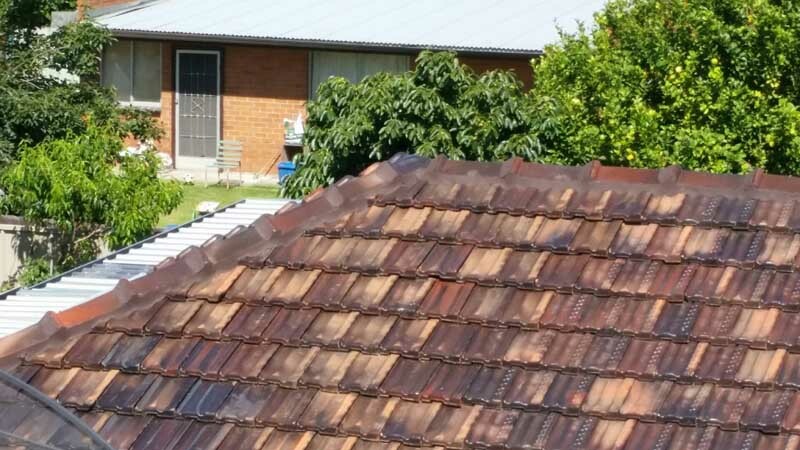 Not only does a Strong Life Tile Restoration Melbourne improve and extend the life of tile roofs; but owners are often surprised and delighted when they see how much a restoration has improved their building’s appearance. Stylish colours and the clean planes of unblemished and unbroken tiles can rejuvenate and modernise renovated houses. And carefully chosen restorations can quickly give a boost to a property’s sale value. 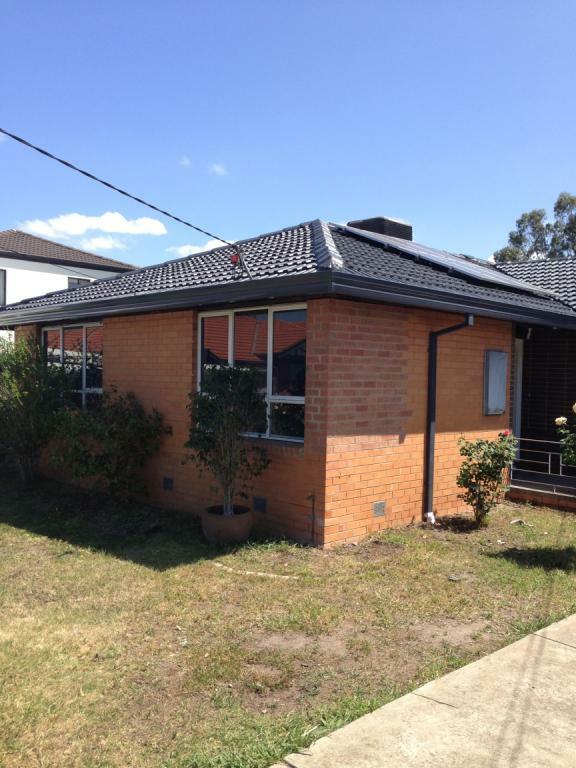 Our professional Strong Life team has been in the business of roofing and guttering for over 25 years, and it’s almost impossible to count all the tile restoration Melbourne jobs we’ve completed. Have a look though our photo gallery for just a sample of the impressive transformations of the properties that have used our tile restoration service. It’s no wonder aging Melbourne buildings need Tile Roof Repairs. Pelting hail and driving rain in winter, days of over 40°degrees during summer, gusts of strong winds, and moss infiltration; all of these destabilise the integrity of tile roofs. Strong Life Ten Steps of Tile Roof Restoration can usually resolve all your roofing problems. tiles which are only marginally damaged with slight cracks or chips, are relocated to the gutter line where their minor defects won’t cause water pooling. the most exciting step of your tile roof repairs, begins by give tiles more protection against the elements by spraying them with a coat of sealer. Next prima bond is applied. And finally, to breathe new life into your roof and building, a new and vibrant layer of colour is sprayed onto the entire tile section. Strong Life’s roof tilers are proud to make sure your property is left as clean and tidy as it was before they arrived. It takes around seventeen units of study to become a fully qualified roof tiler. But, to be an expert roof tiler takes something a bit extra – a love of the job and pride in making your roof look almost brand new again. You can tell Todd Jordan personally handpicks only staff who are committed to reaching high standards of work. 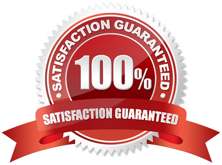 All Strong Life professionals are fully insured, and have the necessary qualifications and certificates their trade requires. Each of our roof tilers have a wide range of experience working within the trade and are able to communicate in a clear, friendly, manner. 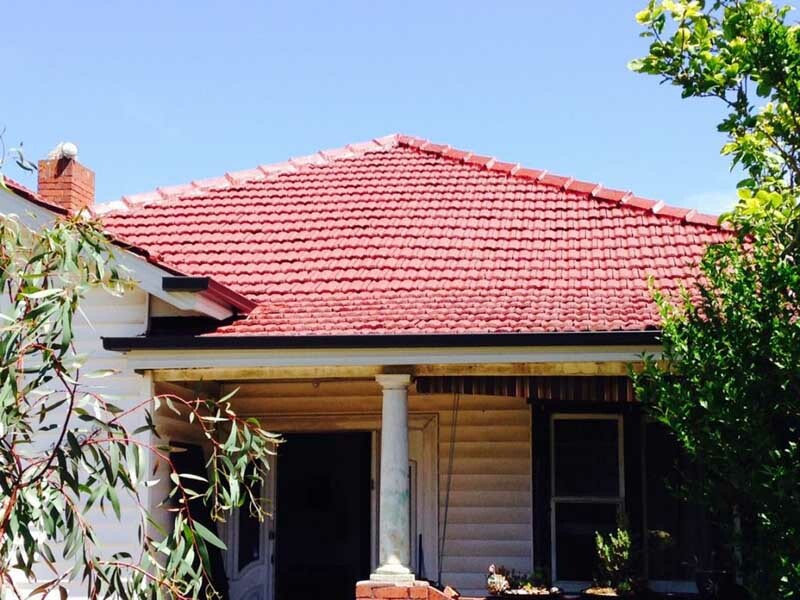 You can be sure that all Strong Life roof tilers work quickly and carefully to complete tile restorations, and to uphold Strong Life’s reputation for being one of Melbourne’s superior roofing and guttering companies. How Much Damage Can A Leaking Roof Cause? It’s hard to comprehend the force of litres upon litres of pouring water smashing onto tile roofs in a single rain storm. Just imagine the harm that such a massive amount of water does as it pries its way through leaking roof tiles. or the slightest unsealed gap between valley irons. Often one of the first signs of a leaking roof is water pooling in the roof cavity. Stop a leaking roof becoming a serious issue. You can save time, effort and costly repairs by contacting Strong Life’s Roofing Tile Restoration Services. The property’s owner will immediately be advised if our consultant inspects a building’s roof and finds it can’t be repaired by a restoration service. 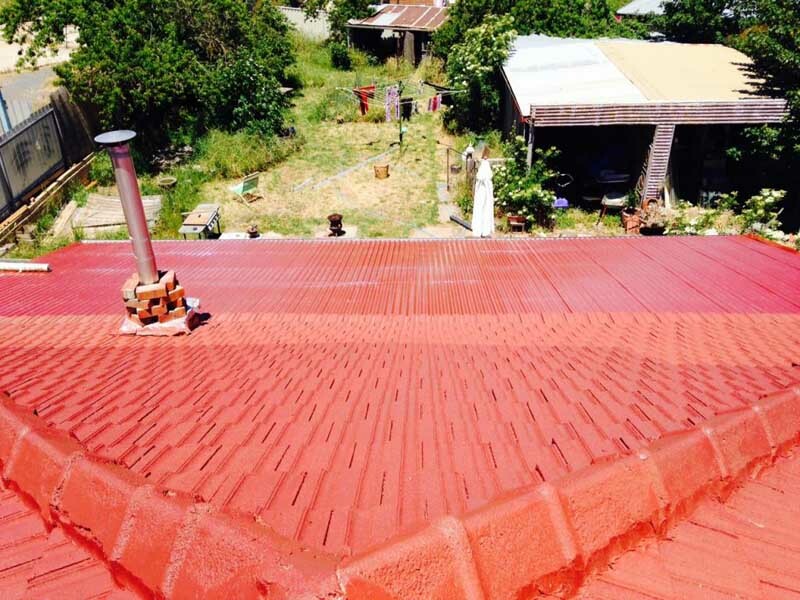 In these cases a full Colorbond roof replacement could be a more effective choice. People quickly judge a building by assessing what state of repair a building’s roofing and guttering is in. There’s nothing like a new tile roof restoration to give your property an air of order, warmth and welcome to first-time visitors or prospective buyers. Our Roof Tilers love seeing Strong Life customers have that certain smile of satisfaction when they see the completed job. Act now to cut the risk of expensive fix-up jobs in the future. It only takes one call to book a free inspection. Our friendly consultants arrive at the agreed time, assess the state of your tile roof, then advise you of any necessary repairs required and hand you a detailed quote. If it’s accepted, our qualified and fully insured team of roof tilers come and efficiently complete the new tile roof restoration. All Strong Life Roofing and Guttering jobs carry our unique 3 Stage Warranty*.